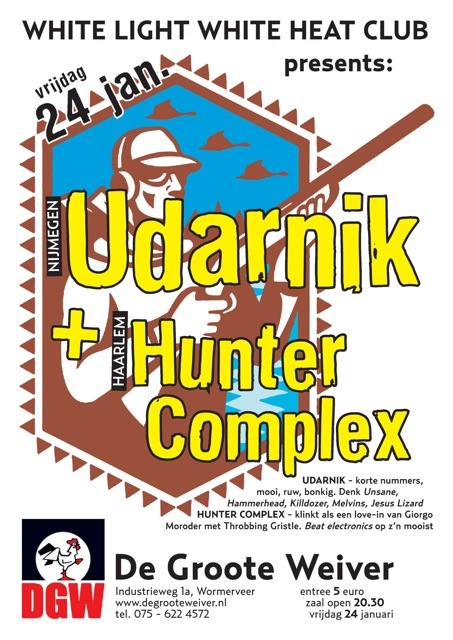 Hunter Complex is the moniker of Lars Meijer. His second album Heat was released on vinyl by the Dutch label Narrominded on September 6 2013. Hunter Complex brings his armoury of synths and electronica to De Groote Weiver and will be treading the sonic path to create beautiful melodies that sound like Giorgio Moroder sitting in with Throbbing Gristle. A highly talented musician with a penchant for composing some of the most beautiful electronic music heard in awhile. UNIQUE!! !